Hey Chicago! Do you have your sights set on running a half marathon this summer? Do you want to run this 13.1 miler through the streets of Chicago? 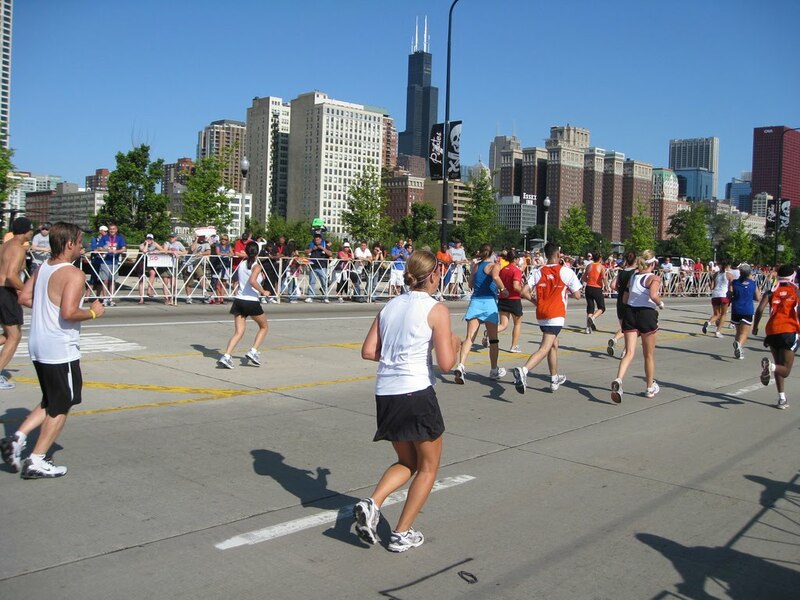 Consider running the Rock 'n' Roll Chicago Half Marathon, coming to the Windy City on August 1. But act fast because registration is set to close soon. Forget scrounging up extra cash for the race fee, begging friends to join you in the venture or wondering how you're going to survive a half marathon in the middle of summer. You need to put all those thoughts aside and just register for the race now before it's too late. Race organizers are announcing online that the race is nearly full and they sent an e-mail with the same warning. When a similar announcement went out for October's Bank of America Chicago Marathon, those last 2,000 spots for the 45,000-participant race were gone before the work day was out. At Rock 'n' Roll, you'll be vying for one of the 20,000 spots available. And knowing our love for running in Chicago, coupled with the out-of-town draw to the city's big-name races, it's no surprise that those spots are disappearing. Score one by registering here. The 2nd annual half marathon will be held Sunday, August 1. The race starts at 6:30 a.m. Consider it an effort to avoid the heat. The race benefits the American Cancer Society and runners can be a part of the organization's charity arm: DetermiNation. 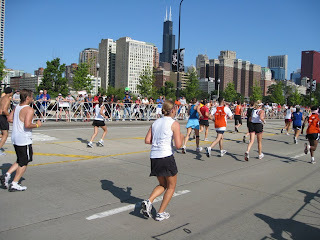 The race starts and finishes in Grant Park at Columbus and Congress. You get to run a portion of the race along Lake Shore Drive. Kara Goucher won this race in 2009 and crossed the finish line ahead of all the other competitors. It's a flat and fast route that partially mimics some of the Chicago Marathon's course. And if you've run it before, what are your likes/dislikes about the course? I'm curious as I was supposed to run this race when it was known as the Chicago Distance Classic but I broke my collarbone the day before--so much for knocking a half marathon off my schedule that summer. But I'll save that story for another day. Photo grabbed from msullivan63 at flickr.